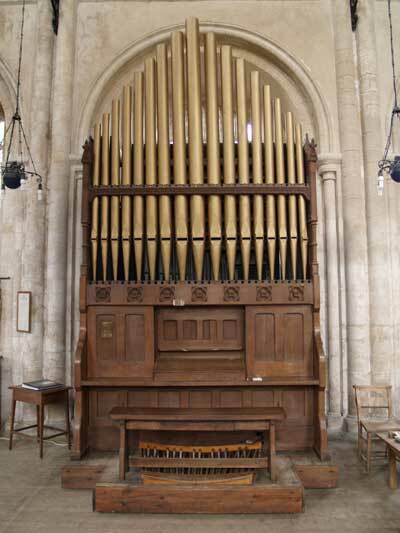 The organ was built in 1880 for East Harling Church by William Christmas Mack of Yarmouth (1854-1900). It was rebuilt here in 1982 by David Miller of Royston. He is an illustration of how a rural craftsman could turn quite easily into a specialist. It can be reasonably assumed he learnt general carpentry skills from his father and, possessing an interest and ability in music, he then ventured into the highly specialised and demanding craft trade of organ building and succeeded. The slow pace of change in rural communities has enabled a number of instruments to survive, some from the early part of the 19th century. These testify to the presence of such able and artistic craftsmen as Mack. The instruments themselves are valuable working documents of the evolution of the organ from the Restoration through to the social and industrial upheavals witnessed in the 19th century, especially in remote country areas where craft trades, including organ building, remained relatively unaffected by fashion. 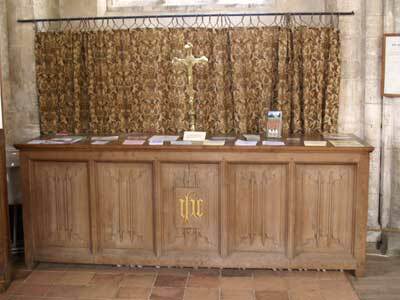 There was little point in change if the organ worked and provided what was needed in rural parishes. 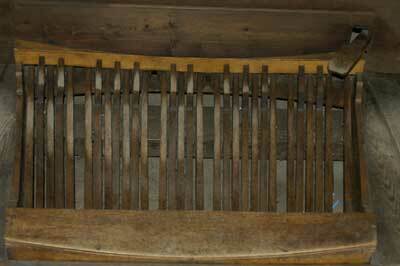 Added to that, the principles of construction were often rooted in much earlier traditions and it is interesting to note how the practise of organ building bore a resemblance to other rural trades. The type and quality of workmanship necessary for example, in mill joinery such as wooden ducting and box-constructions of all kinds, bears great similarity with organs and was often of the same high quality... Mack’s work suggests a man who was musical and competent, with the requisite self-assuredness to build an instrument which projected these personal qualities. 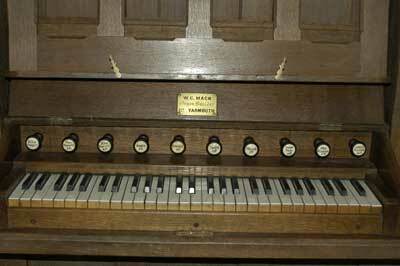 The organ has a single manual and a full pedal board. There are ten stops including a pedal coupler. The swell box is operated by a trigger or lever pedal. To the west of the Organ is the old altar of the church. On it is placed a cross which was in use in the Military Church in Tobruk during and after the Second World War (1939 - 1945). It is believed to have been cast from shells used in the fighting round that port.